Welcome to Scottish Country Dancing in Cornwall. Branch AGM and Social Dance on the 12th October. See our article about the very successful afternoon and evening of dance, dancing to the live sounds of Sandy Nixon & His Band, one of the UK’s top Scottish Country dance Bands from Glasgow, at the Eliot House Hotel in Liskeard on Saturday 9th February 2019. Over 100 dancers enjoyed the 2 separate events held at the hotel. The new book Cornish Hospitality is now available. The New Core dances which are applicable from September 2018 to August 2019 are available from the menu above. To find out where you can participate in Scottish Country Dancing in Cornwall. 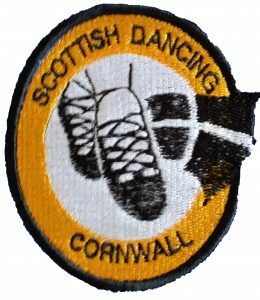 See the Scottish Dancing Week in Cornwall on our clubs page. If you wish to become a member please see the membership page for details. If you have a comment or a query regarding this website please contact the website sub-committee by clicking the button below.